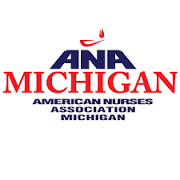 Thank you to American Nurses Association (ANA)-Michigan for their recent endorsement for H.R. 1651 and S. 1106 The National Nurse Act of 2017. They join the 127 supporting organizations for this legislation. This list includes 20 state affiliates of the American Nurses Association! Below is their letter of support. On behalf of the American Nurses Association (ANA)-Michigan, representing 147,234 registered nurses in Michigan, we are writing to request your co sponsorship of the National Nurse Act of 2017 (H.R. 1651) and S. 1106 and express our full support for this legislation. Designating the Chief Nurse Officer position as the National Nurse for Public Health will help strengthen efforts by nurses in every community to assist in bolstering a nationwide shift to prevention to yield improved health outcomes. The National Nurse for Public Health’s support for the Surgeon General’s focus on prevention, developing nurses as community health advocates, and promoting professional nursing is key to the role nursing plays in our nation’s healthcare infrastructure. The projected total coat of chronic disease from 2016-2030 in Michigan is $1.3 trillion. In 2015, 6.1 million people in Michigan had at least 1 chronic disease and 2.4 million had 2 or more chronic diseases. Most of these conditions are largely preventable. By promoting health awareness increasing health literacy, and reducing health disparities, the National Nurse for Public Health would play an important role in improving our nation’s health. 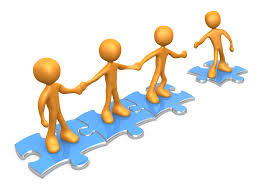 As we continue to transform our health systems at the state and national level, it is important that we work to elevate the role of public health nursing to create community level systems, identify public health concerns, and achieve early intervention for identified needs. A philosophical and cultural shift to focus on wellness here in Michigan and on the national level that is reinforced by nurses in every community would go a long way in promoting health, reducing costs, and saving lives. We request your co sponsorship for the National Nurse Act of 2015 and are ready to work with you to help move this legislation forward.